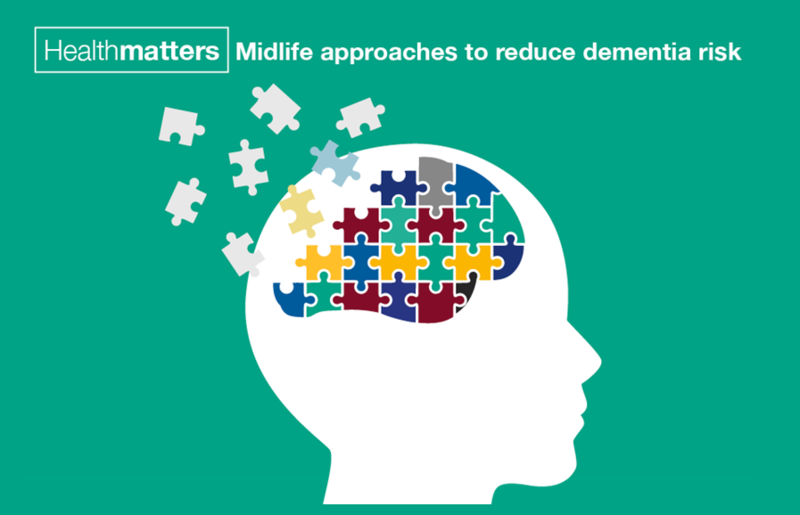 This week we launched the fourth edition of Health Matters which focuses on dementia. Health Matters is a resource for professionals featuring information on interventions, data and tools. You can also download a suite of infographics for use in your presentations and social media. With NHS England and Diabetes UK, we announced this week that up to 100,000 people in England will be offered places on the world’s first nationwide programme to stop them developing Type 2 diabetes. Read PHE's Kevin Fenton blog about how this programme is an important part of wider efforts to tackle Type 2 diabetes and obesity. Thursday was World TB Day and we marked one year since the launch of the TB strategy for England. We also joined forces with the Greater London Authority to release a video featuring London TB ambassador Emma Thompson. Read our blog about the making of the video. This week PHE's Kevin Fenton blogged to share some of the work we are doing with others to help improve the lives of people with mental health problems. Our annual mental health summit was also held this week - get a recap by looking at the #PublicMentalHealth hashtag on Twitter. New data published this week shows adults have cut their average salt consumption by 0.9 grams per day in the decade from 2005 to 2014. This week saw NHS Sustainability Day, a day of action to showcase ways the NHS is making headway to become more sustainable. We published a blog which reflected on the conclusions of the United Nations Action on Climate Change conference that took place in Paris at the end of last year. Access all messages via GOV.UK, including an audio version of his recent update which flags the sugary drinks levy and Eatwell Guide.